Some time ago, I awoke to find a dusting of snow covering the saguaros of the Sonoran desert where I live. I arose quickly knowing this new fallen blanket from the clouds would soon be gone. I was transfixed by all that surrounded me. The desert was seemingly transformed overnight. As I turned to view the landscape, I noticed a stately saguaro on the crest of a hillside gleaming in the early morning sun and snow. I was struck by how the saguaro was nearly refashioned by the presence of snow on its outstretched arms. Additionally, the nearby cholla, though much shorter in stature, seemed to be plumped up and jumping for joy with the chilly refreshment all around. It was a remarkable scene for me. To those who have lived all their lives in the desert, this scene is perhaps quite unremarkable. For me, however, being brought to the desert from far away, I was struck not only by all the beauty surrounding me but also, and I’m embarrassed to say this, by the very fact that it can snow in a desert environment. Even an environment that was a comfortable 65 degrees just twelve hours earlier. This was delightfully unexpected for me. This surprising encounter with Mother Nature reminded me how we each awake to the new day to many unexpected experiences and opportunities. As the snow quickly melted on the arms of the saguaro, I imagined this cactus was absorbing the winter water, quenching its January thirst, and building its inner reserves. Similarly, I thought to myself, each one of us might be surprised by a “dusting of snow” in the desert of our experience of life but we can allow it to be, just like the saguaro, an unexpected way of growth, nourishment, and a way to build our inner “reserves” for a difficult day. Did you have a “surprise snowfall” today? What was it? In the winter of our struggles there are many unexpected experiences offering hope and healing.These moments might include the timely meeting of an old friend at a holiday get together and hearing her share excitedly about the discovery of a new health protocol working for her. Or it might come in a more subtle way in a whispered suggestion to the ear of our hearts. The trick is to be ready or open for these unpredictable moments of awareness, don’t you think? Remaining open often requires us to be vulnerable. 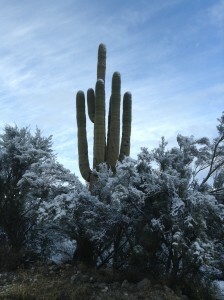 The outstretched arms of the saguaro in the snow was a symbol of that openness and fragility for me. And we, like the strong old saguaro, can stand resolutely and patiently waiting with open arms to each new day whatever it might bring. This desert snow fall, with its fleeting nature, also reminded me to enjoy life in the moment. For, like the snow in the desert, life quickly passes. This quiet pause, in the early morning, awoke my mind and heart from a bit of winter hibernation and allowed time for recollection in the frosty stillness. Life passes quickly; enjoy it! So, these are just a few thoughts about my recent winter moment in the desert. There was quiet. There was peace. There was snow. It was all a grand surprise. And I was chilly but grateful. I look forward to my next desert surprise, however it may unfold. Music, my father and love were the themes presented in my first blog post. In this, blog post, I am bringing my theme a little closer to my temporary home in Arizona by sharing an animal encounter I experienced on my first day in the desert. While rattle snakes, free range cattle, baby squirrels, skunks, gila monsters, tarantulas, cardinals, owls, road runners, coyotes and a hedgehog named Henry all feature in the entire story of my desert animal encounters, for today’s brief blog post, I’ll start the longer narrative of animal encounters with a short reflection on my encounter with Arizona javelinas. In fact, this is where all my animal encounters actually began. You say you don’t know what a javelina is? Well, neither did I until this first encounter removed my unfamiliarity. This dramatic encounter, on my first night in Arizona, proved to me – early on – that the desert night has its own world of determined nocturnal denizens. 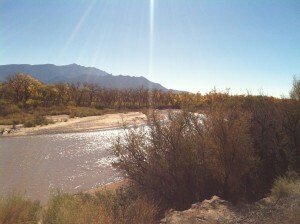 The story unfolds when I arrived in Ajo, Arizona to rent an apartment from Ed and Charlene. Ed shares the same health condition as I do, Environmental Illness (EI), and he built a number of homes that are uniquely suited for people with this challenging illness. I’ll share more about Environmental Illness in another blog post but for the moment suffice it to say, this illness necessitated me moving from my comfortable life on the east coast to pursue temporary housing and long term healing in Arizona. I arrived at Ed and Charlene’s house after a lengthy three day journey from Dallas, Texas. Dallas had hosted me for about two months as I sought treatment for Environmental Illness from a well known EI doctor there. The last leg of the journey took me through the dusty desert of southern Arizona. When I arrived at Ed and Charlene’s house, as you might imagine, I was beat from a long journey. Having never visited the southwest desert before, I found myself a bit shell shocked, disoriented and downright weary from my late afternoon drive through the desert. The perceived desert emptiness seemed endless to me. Ed and Charlene received their tuckered traveler graciously enough with a hearty meal and warm table fellowship. It was good to be among folks who were living vibrant lives and shared similar health experiences. After this satisfying meal, I was lead to my apartment and quickly prepared myself for sleep. I was bushed! Prior to getting readying for bed, I went outside to my little Nissan Versa (Which I named Rocinante. No offense to Steinbeck.) and removed two large plastic totes, my sleeping bag and other travel items and placed them carefully beside the back of my car. They seemed safe enough resting there against the cement wall dividing Ed’s property from the neighbor’s yard. I thought everything was well secured for the night. Little did I know. Get! Get out! Get out of here, screamed Charlene at 3:00am in the morning just outside the window of the room in which I was sleeping! I was sound asleep and her cries were more like distant sounds in a strange faraway dream than an actual call for alarm. I had been traveling hard and consequently was dead asleep. I never fully woke up to investigate the commotion and just rolled over and fell back asleep. Dead to the world. It wasn’t until the morning that I realized the filthy and disorganized consequences of a javelina attack lay just outside my door. Three or four stinky javelinas evidently came charging into the yard earlier in the morning and Charlene chased them away from the property and the goodies they encountered in my food storage totes. They also seemed to have fun with my sleeping bag which was left outside. As I looked at my ripped apart plastic totes, rice cakes, almond butter and organic crackers strewn all over the yard, I knew something unexpected had taken place in the early morning. In addition to the mess, this havoc was accompanied by a filthy smell that was something like a combination of a wet skunk, a dirty gym sock and a musty bitter stench of old garbage rolled into one. This smell, along with a filthy black residue, was all over my totes and seemingly infused into my sleeping bag. Such was what awaited me this first morning in Arizona. I was not happy. What had happened, I thought to myself? I knew I had encountered something unknown from my own experience but I had no idea what had happened. Then I vaguely remembered Charlene’s shouts from a few hours earlier. 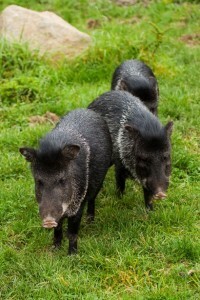 ”Javelinas” she responded somberly. “Javelinas?” I shouted! “What in the hell are Javelinas?” I stammered completely confused by what they were but quite convinced I understood the consequences of their actions. She laughed. Charlene couldn’t contain herself and let out a full laugh. “You don’t know what a javelina is?” she asked incredulously? Shaking my head, surveying the detritus filled yard and looking a little stunned she knew I had absolutely no idea what animal had attacked my food supplies the night before. For all I knew it could have been the infamous and mysterious chupacabra from Puerto Rico. Charlene went on to explain the javelina is an animal about the size of a large hog which looks like a wild boar or pig but is actually a giant RAT originally from South America. “A giant rat?” I thought. Yuck! I was further amazed to learn it was not just one javelina that devoured my food and left a mess but several critters. Evidently, these animals travel in packs! As it turned out these active night creatures, which Charlene had chased out of the yard at three am, are protected and it’s only legal to hunt them certain times a year. They have actually become somewhat of a nuisance in the small desert town of Ajo, Arizona. They will eat just about any garbage they can find and will surely break into food supplies left outside thinking they are snacks for the whole javelina community to enjoy. I learned an early lesson on my first night in the Sonoran desert. There are indeed creatures lurking in the Arizona dark and it’s wise to leave no food outside for these roaming characters to consume! Moreover, what I initially thought was a barren lifeless landscape is actually brimming with animal activity! 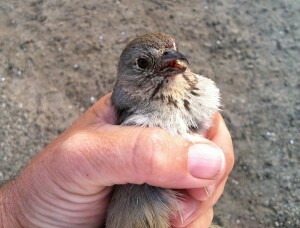 As my encounters with animals have unfolded here in the desert, most were far more enjoyable! All have been educational. More on those in future blog posts! Have you had an interesting animal encounter? Please share your experience as a comment here! Thank you for reading! Until next month, wishing you all the best! Starting, I’m told, is always the hardest part in any endeavor. So, it would seem, with this first blog post, I’ve passed through “the hardest part.” We shall see if that bit of wisdom holds true. Music, my father, and love are the themes discussed in this, my first, blog post. Originally, this blog post had a video-link embedded in it of a Puccini aria as performed by Joshua Bell. The song is entitled, O Mio Babbino Caro. Evidently, I violated some internet rights and it was removed. I do hope you have a chance to google it and listen to it. It’s really beautiful. I presented this music video because the music by Puccini – as performed by Joshua Bell – is one of the most beautiful pieces of music I have ever heard performed and it is one of my most favorite. Although I am no expert and hardly know my andantes from my adagios, I do know I am transformed into a better person and transported into a better world from the very first note of this aria. Does music do that for you at times? Why, I wonder? On a certain, far more hum-drum level, I’m hoping my writing might help me and you to become a bit more transformed…going from where we are to where we might be. Perhaps, simply growing in friendship. Art in general and Italian opera in specific often help a person transcend the present reality and enter more deeply into a different reality. The story behind this aria does this and is most touching to me. This evocative melody was written for an Italian opera and is sung by a young love smitten girl, Lauretta, after tensions with her father and the family of the boy she loves reach a point that Lauretta might be separated from her beloved. This song of tender devotion captures Lauretta’s love for her firm Italian father and a plea for him to show mercy. The name of this aria in English is, “Oh My Beloved Father.” The title gives you insight into the story. It is particularly touching to me, and perhaps to others, because, like in the operatic story from whence it comes, I, too, have experienced “tensions” with my father and now, like the beauty of this music proclaims and the name it carries, my heart feels nothing but love and tenderness for my beloved father. How good it is to be transformed. 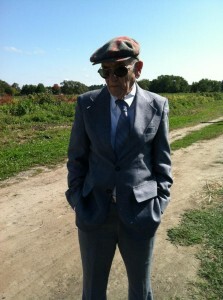 My father is now elderly and a stroke from a few years ago has perhaps slowed him down and softened him a bit. As he walks his last few miles (a great heartbreaking distance from me), I think of him often, pray for him regularly, thank God for him near daily and delight in the great gift he is – especially as I listen to Joshua Bell perform this magnificent rendition of “O Mio Babbino Caro.” My beloved father, indeed! So, as I begin my meanderings and musings in the blogosphere, I introduce you to my favorite piece of music, share with you the love I have for my dad this music evokes, and ask you to consider what your most favorite piece of music is and why. Joshua Bell is one of my favorite performers and I share this music with you to elicit a response and to dedicate this song and my blog writings to my beloved father. And so, with this post, I have started my blog. Enjoy the music video again, and please share, if you are so inclined, what your favorite piece of music is and why? Welcome to my blog! In the coming days I will share thoughts and ideas inspired by living in the desert. In this blog, I will write about my personal journey, thoughts about faith, general experiences in our culture, and what it means, to me, to be a human person in the modern world. All of these themes, and others, will be written from the perspective of the desert.